Experience an unforgettable evening of Regency elegance in the most idiosyncratic and atmospheric house-museum in the world and London’s hidden gem. There's no better setting for a dinner that Soane's atmospheric Library-Dining Room. Dine surrounded by mirrors reflecting the Pompeian decoration, Greek vases, intriguing works of art and twinkling candlelight. We'll serve you drinks before dinner in the elegant North and South drawing rooms, followed by a candlit tour from one of our Curators of some of the Museum's most spectacular spaces. We can accomodate up tp 30 dinner guests. Exclusive hire is £5,500 plus VAT. Catering is not included and can be provided by our four excellent approved caterers. Enjoy an evening of elegance and atmosphere with a candlelit drinks reception. Enjoy drinks and canapés in the same beautiful rooms where Soane entertained the great and good of Regency London. Guests are invited to wander at leisure through our most spectacular spaces. 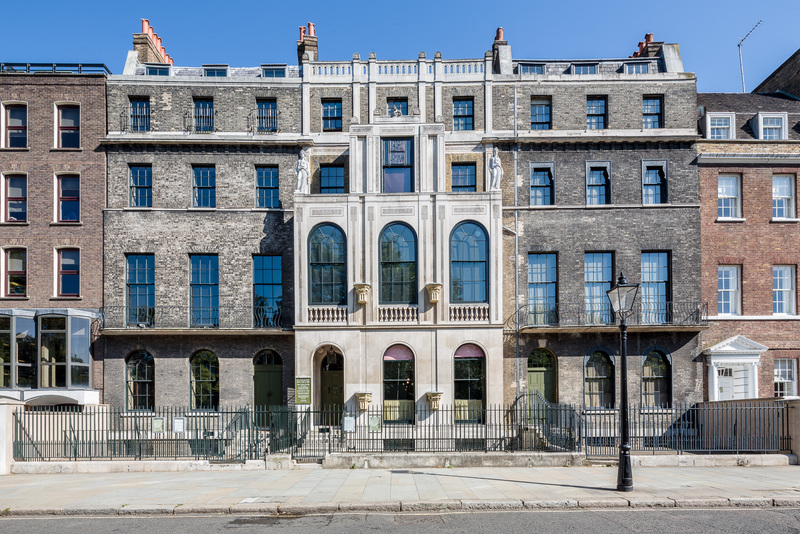 See Soane's world-class collection arranged the same way today as it was in 1837, including a fascinating collection of Graeco-Roman marbles, paintings by Hogarth and Canaletto, and a 3000-year old Egyptian sarcophagus. There'll be Museum staff on hand throughout the evening, bringing the collection and Soane's fascinating story to life. We can accomodate up to 80 guests. Prices are £5,500 plus VAT. Catering is not included and can be provided by our four excellent approved caterers. Exclusive Out-of-Hours Tours - Have the Museum all to yourself, with a tour before or after we open to the public. Join us for a Breakfast Tour, where you can finish with breakfast at our partner cafe, Fields Bar & Kitchen, or enjoy a glass of Prosecco on an atmospheric candlelight evening tour after 6pm. Prices start from £500 +VAT for morning tours and begin at £1500+VAT for evening tours. Tours are for up to 15 guests. Larger groups are welcome and will be split into smaller groups to best enjoy the exclusive experience and intimate setting.